On Saturday morning, I got up bright and early at 5:00 for a 6:30 a.m. group training run on the other side of town. I have found that I must have time for breakfast, coffee, and to just get my blood flowing if I'm going to have any chance for a good run. We had 7-9 miles on the schedule, but when I got there, a several people were planning on doing a 10-mile loop. What?? I had already run 10 miles for the week, had struggled some with 8 miles in the heat the previous Saturday, so I thought I'd just do 8 again----maybe do it better this time. I ran with new friend and fellow mom Amy and had a good run. Even with Galloway's 4:1 plan, we averaged a 10:55 pace (including walk breaks). We were running pretty fast on the running parts to have a 10:55/mile average pace with basically two minutes of walking every mile. We had a great time and I feel like I walked another 8 miles (at least). We spent nine and a half hours at the park. It was quite a test of my endurance. Good thing I've been upping my mileage lately! Keeping up with my 7 and 5 year olds (the two-year-old stayed home with Daddy) was a test of my patience as well. 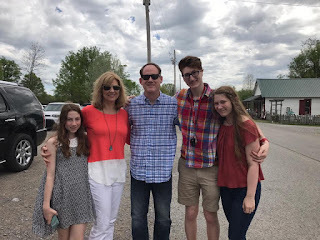 Taking a road trip with the kids, over 350 miles round trip by myself was a long overdue test of my independence. I'd never done anything like that. We did meet our friends from St. Louis there, so I had another mom to hang with. It was a wonderful trip. Monday was spent in recovery. All those hours outdoors in 96-degree weather with 90% humidity sucked the life out of me. Today, I need to get back into the Push Up Challenge, and I plan to REPEAT week 3. I completed days one and two only, so instead of getting off-schedule or moving on to week 4, I'll just do week 3 again. Week 3 is NO JOKE. I'm doing push ups in the 70's. Regarding the marathon, seeing how I felt after 8 miles on Saturday, I honestly don't know if I can be ready by December. I know on Saturday when the group decided to do 10 miles instead of the planned 7-9, I thought, I have no desire to do 10 miles today. I could have done 10 with the 4:1, I just didn't want to. How am I going to feel when I have 18 or 20 on the schedule? Anyway, this is a drop down week, so I'll only have a few short runs. I'll see how I feel about 9 or 10 next week. The biggest "con" I realized about running the marathon is that it will put me out of most of the local races in the fall. I LOVE to run races. I don't know why I will pay $20 to do a 3.1 mile run when I can do it right outside my door, but I just love the race atmosphere. I love the camaraderie. I love that nervous, excited feeling at the start. I love the way I feel as I cross the finish. I don't want to have to give up one of my two half-marathons in October. I don't want to give up running the R-3 Anniversary 5K again in August---the FIRST race I ever ran. I want to re-do all the races I did last year to see how much I've improved, and I did one a month all last fall! Marathon training will require that I miss most of those. So, for the moment, I'm leaning toward not doing the Huntsville Marathon. You could look into the Mercedes Marathon in mid February and still do all your races in the fall. It is just an hour and a half further south, and the course is challenging. Check it out at mercedesmarathon.com. And you get a beautiful medal!! For about a year, my right IT band has been bothering me after long runs. It actually started on January 1, 2014. 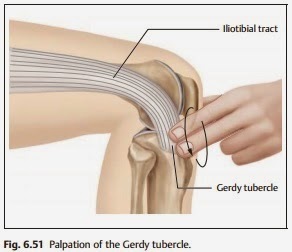 There is a bursa (fluid-filled sac) at Gerdy's Tubercle (the spot where the IT band inserts on the outside of the knee) that cushions the IT band as it moves back and forth over the lateral condoyle (the bony protrusion on the outside of the knee) during running. My bursa had gotten inflamed and angry and swollen (bursitis). That caused my IT band to have a harder time sliding across it, leading to pain and swelling at the insertion-- the formal name is IT band friction syndrome. It caused a burning pain after long runs and sometimes a stabbing pain during long runs. It's been a while! 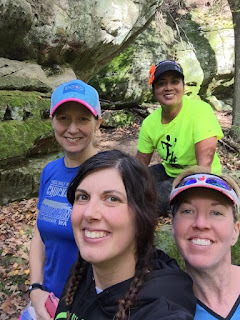 Right after my last post, I ran the Indian Celina trail half marathon, which turned out to be an important day in my running year. It was the day I realized something needed to change. Two months ago, I hit a pretty significant milestone: ten years of running. I began in June of 2007 at the age of 36 . On day one, I thought I was going to die during a 1/4 mile run on a treadmill. It was terrible but intriguing. I kept running at the YMCA that June, slowly increasing my distance, and sometime later that month, I ran my first nonstop mile outside. I still remember it well. Red-faced and gasping for breath, I walked into the house and told my husband, "I just ran a mile!" He was duly impressed. June in Tennessee is probably not the ideal month to start running outside, but I do enjoy a challenge!